Avocado & Oatmeal Clay Mask: This oil absorbing mask is the kind I typically gravitate to with my oil production on 10. I prefer it best as an overnight mask so when you wake you are ready to go. For even more protection try spreading a thin layer under makeup so the oil absorption can go with you throughout the day. Charcoal & Black Sugar Polishing Mask: This mask is actually closer to a scrub but works double duty with the charcoal element working to eliminate some oil. The end product is a really smooth feeling on your face that is great for those sunny summer days. Cucumber Peel Off Mask: This mask was my daughters absolute favorite although I suspect it had more to do with the fun of peeling off the mask. The masks comes out pretty sticky and as it dries you can definitely feel it tighten. After the peal, however, you can definitely see and feel the glow on your face and the lasting depuffiness from the cucumber focus. The results make this a great mask to use when preparing for a special event where you want to look your best. This is a sponsored post that contains affiliate links. I received complementary products in exchange for writing this review. Although this post is sponsored, all opinions are my own. 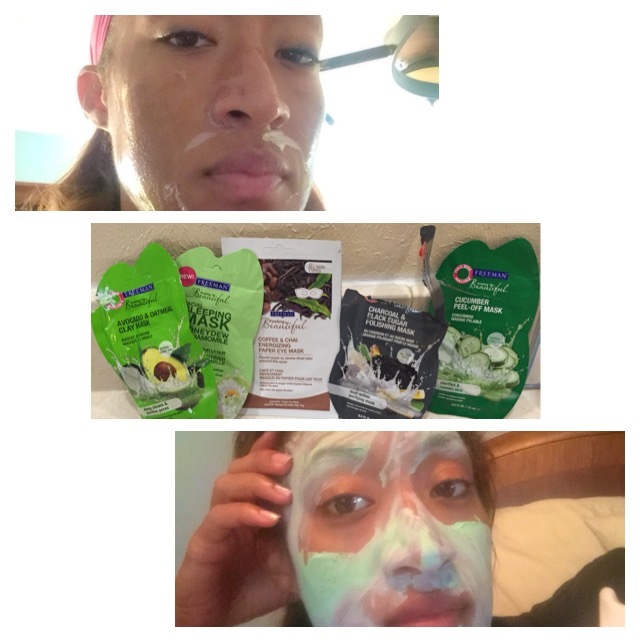 @Freemanbeauty and @Influenster #FeelingBeautifulin5 #contest.